The Chilean publishing company Ocaso Press Ltda. provides translations, guides, novels and poetry of recognized literary quality to schools, universities and discriminating readers across the English-speaking world. Some have been translated into other languages, European and non-European. All material is free, and pdf ebooks can be read on tablets with screens as small as seven inches. Some 30,000 ebooks are downloaded annually from the Ocaso website. Ocaso Press Ltda. also publishes eBusiness: A Complete Text, and the more scholarly Money, Coinage and Society ebooks. Ocaso Press is not anti-Modernist — very far from it — but does contend that many of today's poetry styles are restricting and wrong-headed. Theory has replaced appreciation, with works being valued more for what can be read into them than any literary qualities they may possess. Important aspects of literature — sensibility, generous tastes, wide experience — have been subverted by speculative model-building. The Romantics sought new areas of feeling — in the past, wild landscapes, the hallucinations of drugs. The Symbolists cultivated unusual states of mind with a fluid and often musical allusiveness. Imagists pared down poetry to a few striking pictures. The Futurists were stridently iconoclastic. Dadaists and Surrealists extended the irrational. The Modernists turned themselves into an exclusive caste — since taken over by academia — who intellectualised their superiority over the conventional majority. Postmodernists have retreated further, and claimed that poems exist — and perhaps even reality itself — only in the words themselves. In contrast, Ocaso Press returns literature to its original intentions, which is to give us a meaningful and sense-laden impression of our lives. A key element in poetry is verse, both formal and free verse styles. Like all art forms, verse is artificial, but nonetheless gives structure to lines, and liberates words from their everyday uses and connotations. Words for poets have special meanings, appropriate uses, associations, connotations, etymologies, histories of use and misuse, moreover. Out of these properties the poetry is built, even if the end cannot be entirely foreseen but grows out of the very process of deployment, that continual, two-way dialogue between writer and poem. Perhaps encouraged by the flexibility of today's cut-up prose, the great majority of academics and college students have only the most rudimentary ear for verse of any description. And if that's an extraordinary situation, it is one repeated in many of the experimental arts where the critical theory is abstruse and taxing but often produces something prosaic in the extreme. The craft aspect is entirely overlooked, though it must be self evident that trying to write poetry without developing an ear for verse is akin to writing an opera while remaining ignorant of music. 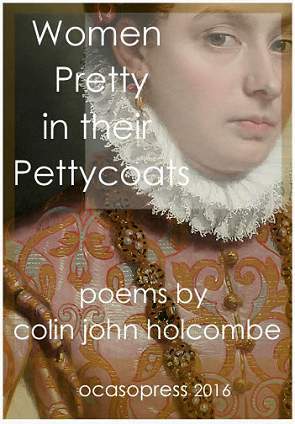 Amateur and serious poems have become markedly different entities, and there is little work that bridges the gap and combines the themes of one with the inteligence and wide reading of the other. Matters are happily different in painting, however, where the traditional work marketed by leading galleries still displays genuine gifts, sensibilities and sound technique. That work sells to art lovers because their taste has been formed by thousands of delighted hours spent in galleries, exhibitions and painting classes — i.e. by an informed love of painting rather than a desire for acquisition or status. Being genuine, that taste is also less susceptible to the promotional word-spinning of contemporary art-critics, necessary though those promotions may be for reputations and prices. Readers familiar with magazines like 'International Artist' (www.internationalartist.com) will know what is meant by traditional standards, where work is show-cased by demonstration and clear prose. In short, Ocaso Press applauds and exemplifies the great expansion that Modernism has enabled — in styles and content — but wants that expansion maintained, not closed off into self-admiring cliques created by the poetry establishment's need to be ever more radical. - The guides adopt balanced positions of contentious issues, and are often more detailed — replete with examples, arguments and references — than books offered by the commercial and academic presses. - The novels are simply entertainment. - The poem collections employ strict and free verse styles, but not shy away from the 'grand narratives' that Post-modernism has abandoned. Many deal with important issues, therefore, and behind even the verse tales is the extensive research that any decent historical novelist will undertake. - Translations are literary rather than academic, but are generally close to the prose sense, often indeed line for line. By employing traditional verse skills they aim to give some indication of the splendours of the original works, and make the translations worth reading in their own right. All ebooks are informed by a wide reading in the relevant scholarship, and — where feasible (in French and Latin, but not Greek or Sanskrit) — provide facing texts. 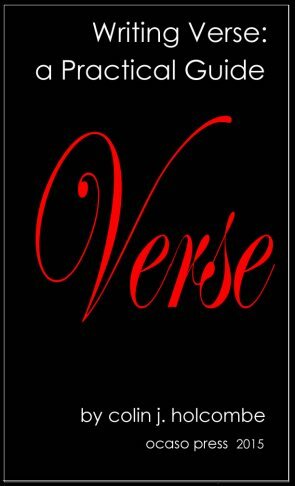 An updated and expanded 568-page ebook on verse as an art form — a practical guide to writing verse in traditional, Modernist and Postmodernist styles. Illustrated with copious examples ranging from Chaucer to contemporary American poets, plus hundreds of Internet links, this guide bridges the gap between self expression and the production of professional work worthy of detailed literary study. The theory sections explain not only what poets are and have been trying to do, but why verse takes its often stylized forms. The book covers all technical aspects of verse writing, and concludes with chapters providing a step by step guide to translating Italian, French, German and Sanskrit poetry into English. Beautiful, mischievous and charming: Patrick Staunton is sufficient of a portrait artist to recognize trouble in the beautiful wife of his wealthy employer, and hardly needs the warning of mafia connections from an old Polish friend. 'Of course you will fall in love with me, I guarantee it', Natalie Stumpfl tells him at a Frankfurt nightclub, and remorselessly Staunton is drawn into her scandalous past even as he begins to understand the roots of his own tangled relationship with women. He closes his eyes to the murders of his father and girlfriend, and to the money-laundering activities of his employer, blindly following Natalie through Spain, the art-world of England and Russia. Will she leave the husband she despises, or does she despise all men, allowing only women to be fully intimate with her thoughts? Seventy-eight poems that rhyme, that scan, and have something to say on themes that have been anathema to serious poetry since W.W.I. destroyed the European belief in progress and common purpose. These very traditional re-renderings of the Hesperides in modern dress revisit the great commonplaces of life, but with more grace, wit and understanding than is common in poetry today. In short, the poems diverge from contemporary styles, ringing the changes on conventional themes by re-echoing rhyme and imagery through these song-like pieces. Many poetry books have a central theme, of course, but here the repetition is denser, giving key words a wider connotation as they operate in different settings across the collection. The Meghaduta or Cloud Messenger is a masterpiece of Sanskrit literature, and was composed by the court poet Kalidasa some time before AD 634 in northern India. A Yaksha or nature deity begs a passing cloud to carry a message across the subcontinent to his grieving consort in the fabled city of Alaká. Under this fiction, Kalidasa presents a sympathetic portrait of northern India, and weaves in the various moods of love traditional in classical Sanskrit poetry. Early translations sacrificed the meaning to the exigencies of English verse. 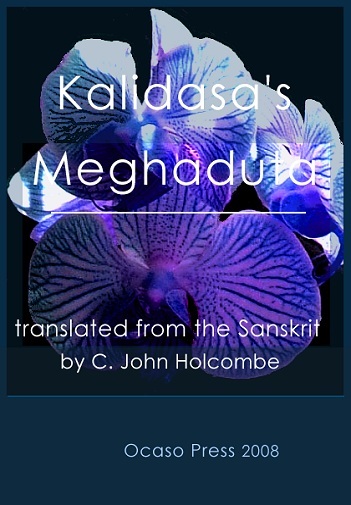 Later translations are close to the prose sense of the Sanskrit, but employ free-verse styles that give no hint of Kalidasa's elevated and harmonious language. The version here is taken from the standard 1912 Hultzsch text, and employs accomplished English verse to render the simple magnificence of the original while remaining faithful to the meaning.